Laser Liposuction For Weight Loss – Different Types Of Lasers Explained! Liposuction is not what it used to be. Today there are almost as many different techniques as there are facilities to have it practiced in. Everything from vaser lipo to multi tuned lasers are available if you have the coin. Because of the increased popularity of laser liposuction however, it is becoming one of the most common methods of liposuction. Traditional laser liposuction, a cannula housed laser is strategically aimed and targeted at the desired fat to be sculpted, meaning that doctor’s are better suited to “fixing” precise problem areas. 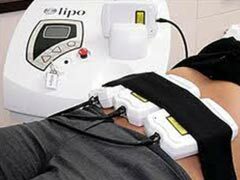 SmartLipo, is a little different in that the laser wavelengths are multifaceted, meaning that one wavelength melts fat, while another stimulates collagen production. This method is conducted under general anesthesia. Smart Lipo cost is comparable to other types of laser liposuction procedures. CoolLipo, is another newer technique that allows finally for the removal of excess facial blubber. Because this specific laser is able to protect tissue that isn’t fat, the peace of mind that this extra feature ensures when dealing with the oh-so-sensitive-face is more than critical. Zerona laser therapy, another new option is actually a non invasive, cold laser technique which involves the purging of fat from cells to later be released from the body. It’s important to note that laser liposuction cost varies greatly and is more expensive in exclusive area codes such as Los Angeles. That being said, you can expect to pay anywhere from $3000 – $10,000 to leave that gelatinous part of you behind in a doctor’s office. You should also thoroughly question the person you are having a consultation with to determine if the costs you are being quoted includes fees for “extras” like an anesthesiologist, if necessary. Laser liposuction has provided a way to take the barbaric methods of old and transform them into new methods of clean and often markless procedures that can often leave much less damage and bruising behind. However, before you consider going “under the laser” it’s important to think about whether or not you have made a valiant effort to lose weight and tone those jiggly arms and thighs on your own. Exercise not only improves your physique, but also your overall health, a well received side effect that isn’t achievable with laser liposuction. Abdominal and Thigh Liposuction Recovery - 7 Things To Remember!